The following tables show the 2010 VA compensation rates for veterans with a disability rating 10 percent or higher. These rates are effective as of 1 December, 2009. Based on current projections, there will likely be no change in the payment rates for 2011. A. Rates for each school child are shown separately. They are not included with any other compensation rates. All other entries on this chart reflecting a rate for children show the rate payable for children under 18 or helpless. 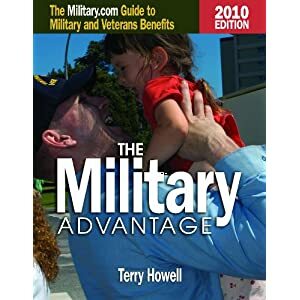 To find the amount payable to a 70% disabled veteran with a spouse and four children, one of whom is over 18 and attending school, take the 70% rate for a veteran with a spouse and 3 children, $ 1,513, and add the rate for one school child, $168. The total amount payable is $1,681. B. Where the veteran has a spouse who is determined to require Aid and Attendance (A/A), add the figure shown as "additional for A/A spouse" to the amount shown for the proper dependency code. For example, veteran has A/A spouse and 2 minor children and is 70% disabled. Add $90, additional for A/A spouse, to the rate for a 70% veteran with dependency code 12, $1,461. The total amount payable is $ 1,556. These rates were provided by the Department of Veterans Affairs. The original copies can be found at: http://www.vba.va.gov/bln/21/Rates/comp01.htm. In 2009 Mileage Reimbursement will be made at the rate of 41.5 cents per mile. On January 9, 2009, these milieage deductibles will decrease to $3 for a one way trip, $6 for a round trip, with a maximum of $18 per calendar month. However, these deductibles can be waived if they cause a financial hardship to the veteran.